SL-5000s Standard Slit Lamp | HAI Labs, Inc. 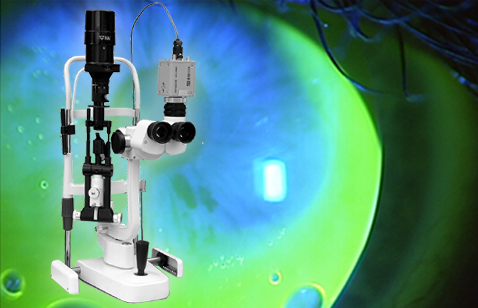 The HAI SL-5000s Standard Slit Lamp is a high quality, full-featured slit lamp with five levels of magnification at 6x, 10x, 16x, 25x and 40x and three levels of light intensity control. Versatile and precision-engineered, it is our most popular model chosen by ophthalmologists and optometrists worldwide. When paired with our 3CCD camera and HAI IMS/CL Image Management System, the SL-5000s is capable of color video sequencing with real-time image capture and playback.